Indonesia is a large archipelago formed by 18,000 islands (island up, island down). So when planning a trip to this immense country, some planning is necessary. We, between routes and others, we stayed with very few days, about 15. DAY 1: We Arrived by night to Jakarta so we decided to take the first flight (5 a.m.) to Yogyakarta. 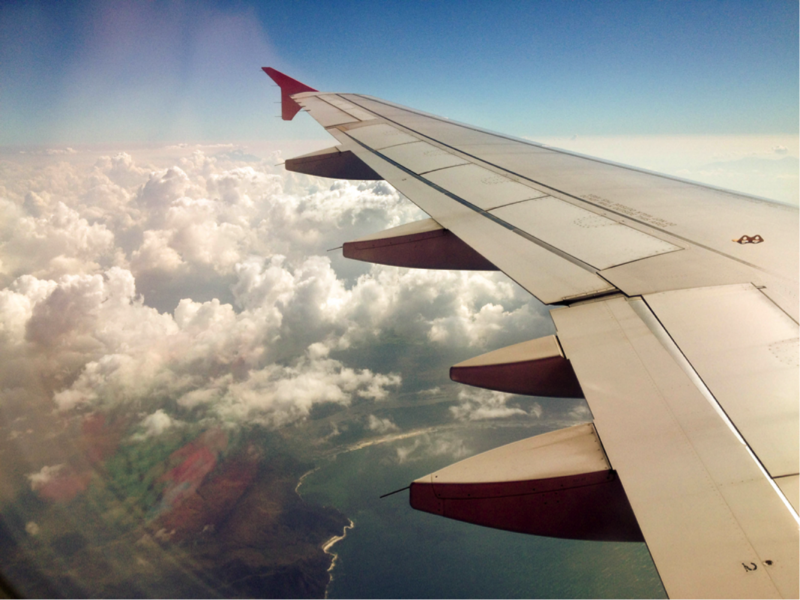 We Flew with the Asian Lion Air company. The most noteworthy Thing apart from our jet lag was that we had to wait outside the terminal as it closes until 3 a.m. Approximately. Once we passed the security control we found a rest room with wonderful chaise longues where we could rest in horizontal for a while. DAY 2: Arrival to Yogyakarta. The Airport is very small and crowded: Welcome to Asia! Once we got our backpacks, we dodged the taxi drivers and headed for the public bus. We Had Booked The first night at Metro Guesthouse in the Prawirotaman area, so we had to make transhipment to another bus, the 3B. TIP: You Must bear in mind that the Indonesians do not pronounce certain phonemes well (the sound F and z especially) so 3B was pronounced by the bus driver we asked as Tri Pi. I Still don't know how we understood, it just happened. Once in our guesthouse, we are told that because we are in the middle of Idul Fitri, the week after Ramadan, everything becomes chaotic and overflows. At this time, to visit Borobudur and Prambanan we recommend that we leave at 3 a.m. The next day, to see the sunrise after the Merapi volcano from Setumbu. We recommend it as the only option in all the places where We consult: from 5 a.m. No taxi would take us due to the heavy traffic. The Next day we'll check that they were right. In Addition, at the guesthouse we are also asked if we plan to include in our route the visit to Bromine. The excursion to Bromine is totally discouraged because the journey, which usually lasts about 10-12 hours, can reach 24 hours by road (reaching Bromine once the sunrise is over). 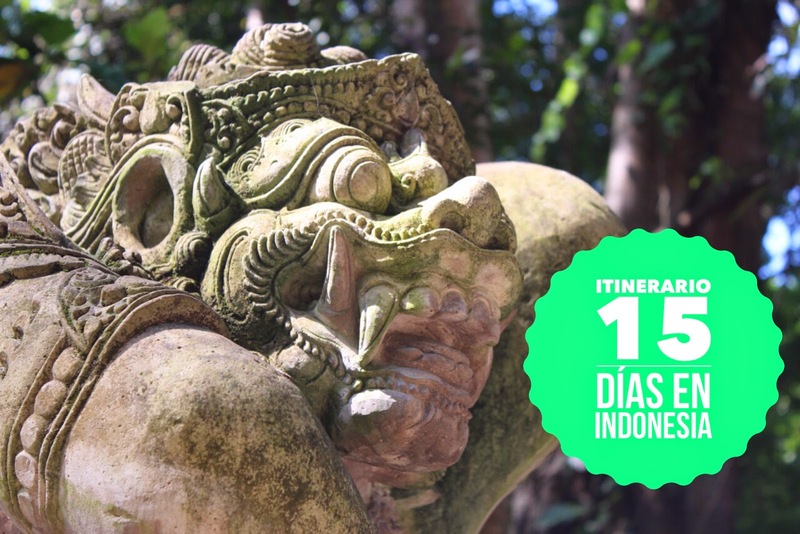 Knowing that our next destination is Bali, we recommend that we take a flight to the island of the gods, as transport by train and bus become unbearable in Java. And We, facilones, have blind faith in them and follow all their recommendations. DAY 3: With The schedule Requetecambiado in the body, we planted at the door of the hotel at 3 a.m. With our breakfast kindly packaged. First of all they take us to Setumbu, from where we enjoy the sunrise after the Merapi volcano. It Was quite crowded, which left them with experience points. 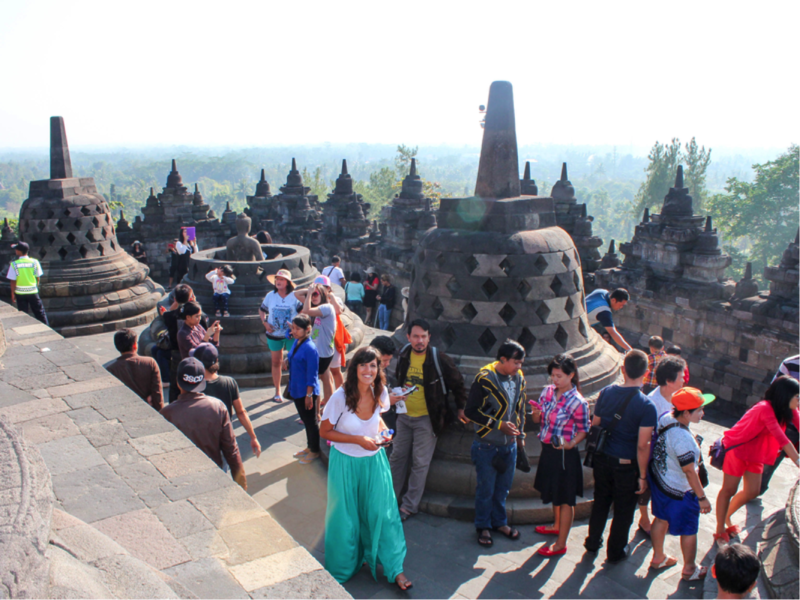 We Then visited Borobudur and Prambanan, where the locals took pictures of us without stopping. The bad Thing about visiting these temples during the Idul Fitri is not only the traffic, but the temples are crowded with visitors and the experience can be more overwhelming and above all, less spiritual. TIP: Carry Your student card even if it is expired and you will benefit from the discount on the entrances of both temples. 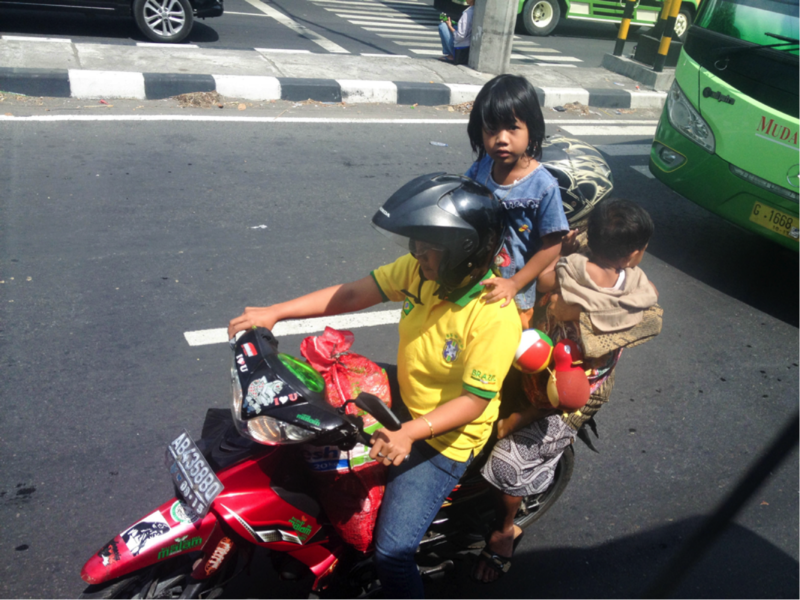 The traffic that day in Yogya was more than intense. On a regular day the tour we made, which includes the visit to Setumbu, Borobudur and Prambanan, should leave us back at our Guesthouse on the 1 p.m. Finally arrived at 6 p.m., already at night, with time for a swim in the pool, dinner and prepare to change the island the next day. WHAT WE WOULD CHANGE FROM THIS STAGE: Although I had read about the Idul Fitri, the post-Ramadan party, I had not imagined the magnitude of the events. If we had known, we would have made our route backwards, that is: we would have taken a flight to Bali directly from Jakarta on the first day and we would have left the visit to Bromo, Borobudur and Prambanan as the final stage of our trip. DAY 4: A New day with a new early morning: this time to head to the airport! We Agree with a're really nice Spanish + French couple with whom we share the taxi. We Flew with Air Asia (our flight was delayed almost an hour, something that seems common in Indonesia) and finally arrived in Bali: a dream come true! To take the taxi you must go to a counter: there we asked the couple who was ahead of us if they were heading to Ubud to share the taxi between the four, and what a good idea! During the two hours of journey (again traffic problems, since it is not usually long to arrive) they told us their adventure: Charlotte and Dan were going around the world carrying out an artistic project! 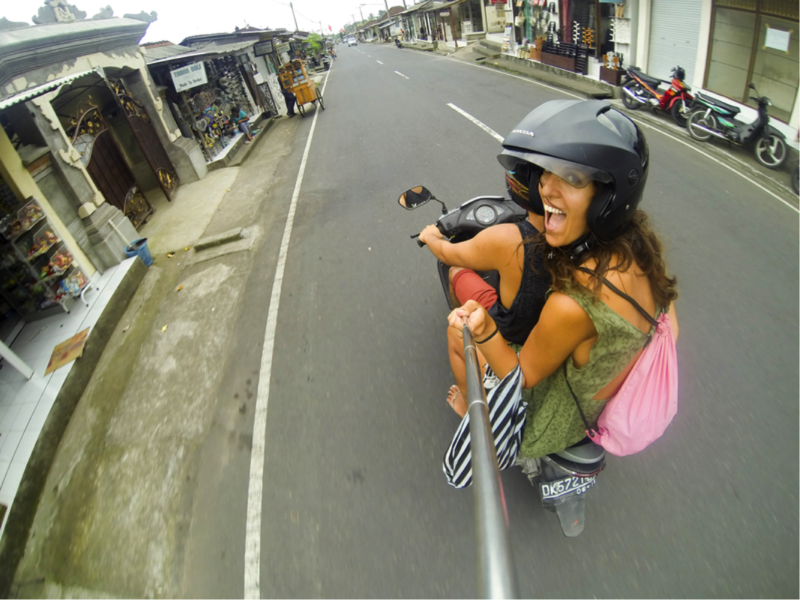 DAY 5: To get To know Bali you have to travel on a motorbike! So we rented our bike at our guesthouse and this day we visited the Monkey Forest, Goa Gajah and Tirta Empul. At night we enjoyed the spectacle of the Kecak. 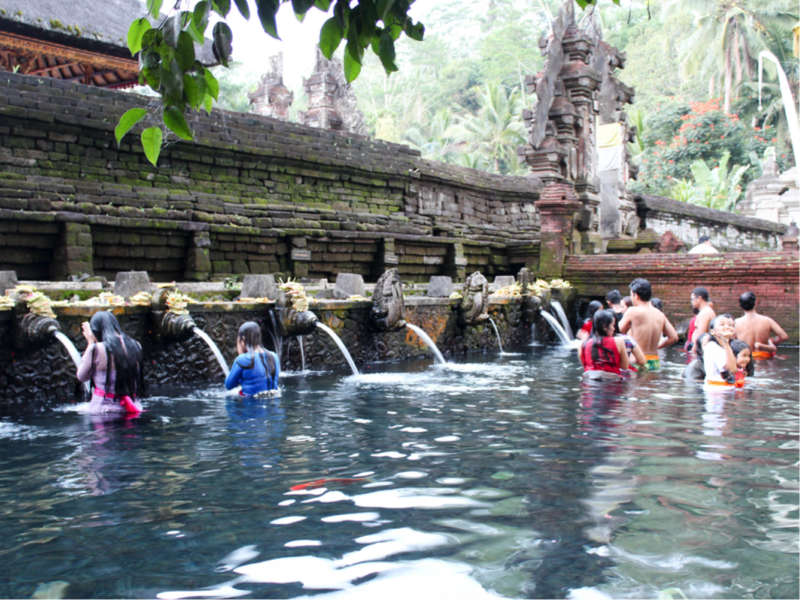 All We did this day was amazing: we even lost on secondary roads to get to Tirta Empul. DAY 6: This Day we take the bike again and planned spend the day between rice paddies. 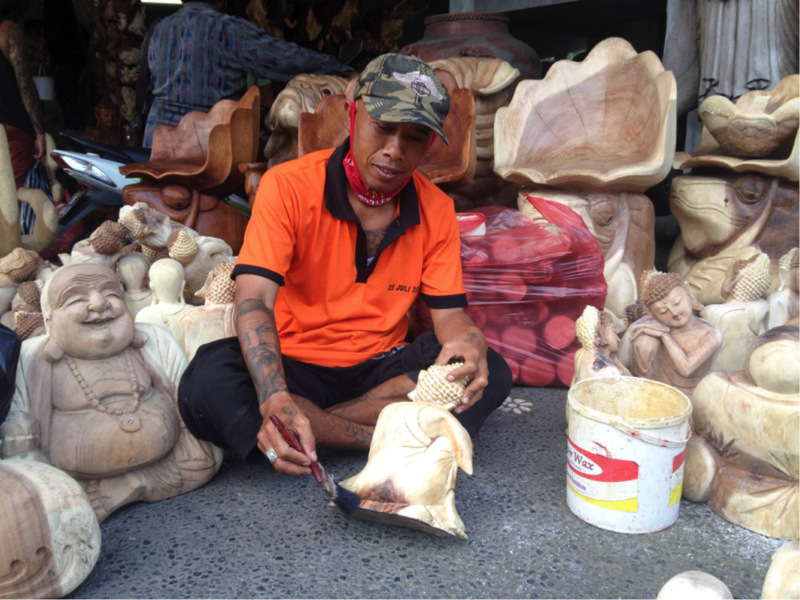 First of all we visited some handicraft shops: Bali is a marvel in this regard. Wood Carvings, concrete figures… Then we headed to Ceking, some rice paddies near Ubud, and we wanted to continue our day towards Jatiluwih, but it started to rain torrentially and we decided to return to Ubud. I Think the rain discouraged us a bit and so we decided that we would stay in Ubud just one more day. 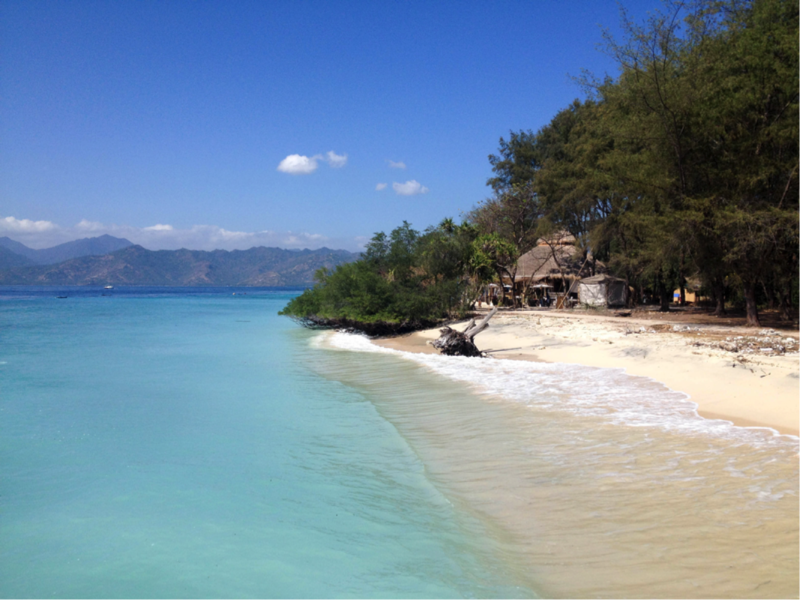 We Had Beach Monkey, so we hired the transfer to Lombok's Gilis and hired a car with driver for the next day, to see some things that had been outstanding in the north of the island. DAY 7: Our driver, Wayan, was waiting for us at our guesthouse's gazebo. He asked Us what we wanted to see: We had been looking forward to seeing Jatiluwih and the Batur volcano, and we wanted to add the Pura Besakih, the mother temple of the island. He warned Us about the scams that tourists often suffer in this temple and proposed to visit a waterfall instead: we accept without hesitation! The Waterfall We visited was Nung Nung, of which I did not know its existence and it was one of the moments that I liked the trip. 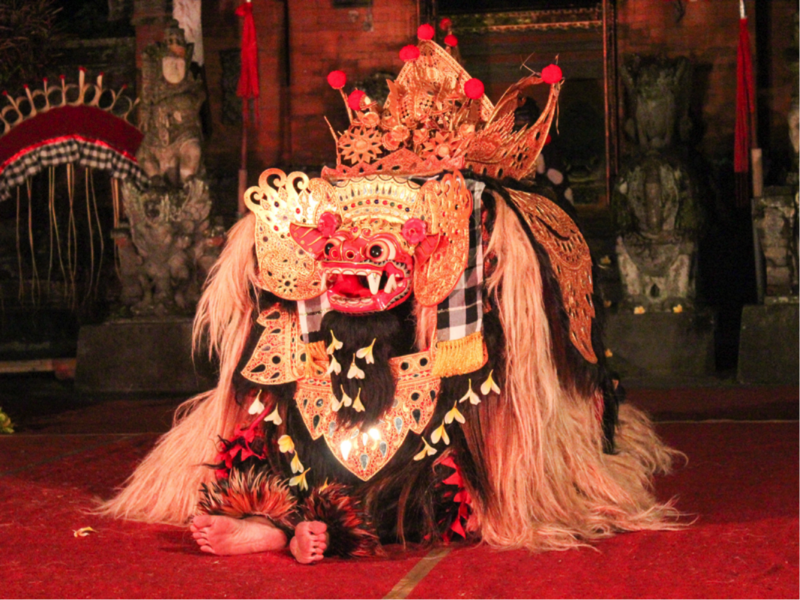 This very day we enjoyed the spectacle of the Barong. TIP: If You think about visiting Pura Besakih, you must be well aware that they will want to swindle you. We Met a couple of Catalans in Gili who had made them pay guide service and at the end they had demanded a donation. If You don't want to go through the bad drink, there are more temples in Bali. WHAT we would CHANGE FROM THIS STAGE: The answer is easy: it would have been better if we had stayed more days! In Ubud It is so good that I think I could not get tired of it ever. Also, we would have liked to have done more shopping, because we thought that in Kuta we would find more offer (Error!). 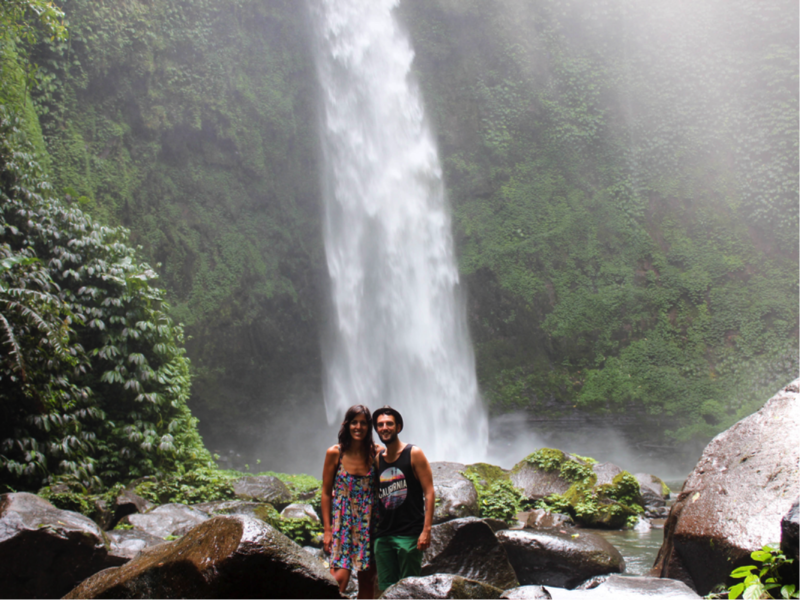 DAY 8: The trip from Ubud to Gili is offered as a fast, 2 hour service. However, the Indonesian punctuality makes the journey in total last about 3-4 hours. The transfer that we had to pick up at our hotel was delayed, no surprises. And once we got to the port of Padangbai, we also had to wait a long time for our boat. As we were leaving without a reserved accommodation, we decided to head directly to Gili MAWANGN, where we assumed there would be more chances of finding it. We stayed at Rumah Kalua and that day we dedicated it to Gili MAWANGN. As I have told you in this other post, in principle we did not like anything at all. DAY 9: Our intention was to spend the day at Gili Meno, but we were late for the public boat between islands. The Best Alternative We found was to do the typical snorkeling tour in the main enclaves surrounding the three islets. We Stop to eat at Gili Air and came back with time to rest a bit before enjoying the sunset. DAYS 10 AND 11: The next day we got to take the boat to Gili Meno which we liked so much that we came back the next day one more time. We rented the fins in a warung north of the islet and passing the Barrier Reef swam as we wanted with turtles (and we burn our backs!). Each Day, returned to enjoy the sunset and dine in a sea-front gazebo. WHAT We would CHANGE FROM THIS STAGE: We would have liked to have stayed at Gili Meno from the beginning, because it is the closest thing I know to a paradise. Its beaches are not the most beautiful, but they are practically deserted and an absolute peace reigns. And swimming very little sea in swims with turtles, what more can you ask! Also, had we not had booked the villa in Seminyak, we would have stayed there until the end of the trip. DAY 12: The time Has come to return to Bali… And of course, the timetables were slowly delayed, and the journey became eternal. Our ticket from Gili included the transfer to our villa but it took a long time to find it as it was somewhat hidden on a Jalan. In fact, when we settled down it had already been done at night. So what was left of the day we dedicate to enjoy what would be our villa the following days. DAY 13: The Next day we headed to Kuta. I Had the preconceived idea that it was an ugly beach, dirty, full of drunks but where to make good purchases. Well, the beach is not that it is very beautiful, and the purchases are not wonderful either. We Booked a chauffeured car for the next day, as the distances seemed long enough to make them on a motorbike. We Strolled along the beach from Kuta to Seminyak. Along the way, Jorge enjoyed a football game with locals on the sand and finally we stayed in one of the beach bars that exist on the sand of Seminyak after the sunset. DAY 14: Our Chauffeur took us to several beaches we chose: Dreamland, Padang Padang, we watched the sunset at Uluwatu and finally dined in Jimbaran. 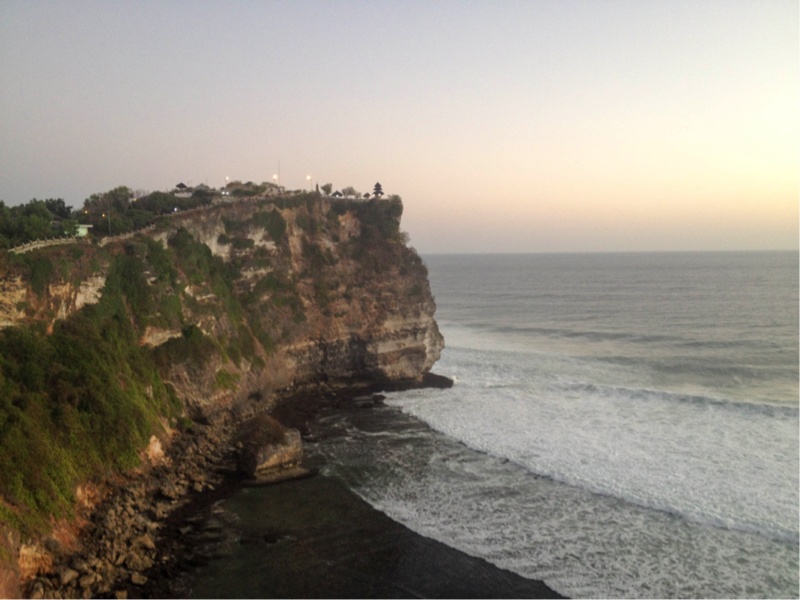 Both the beaches of the Bukit Peninsula and the sunset at Uluwatu are worth it. WHAT WE would CHANGE FROM THIS STAGE: Personally, I would have omitted it. The best Thing was to be able to stay in a villa, but having so many nice places in Indonesia, Kuta and Seminyak are not worth it. In any case, we could have stayed in Bukit, which is more beautiful and truly surfer. Or on the neighboring Nusa Lembogan. Or Lombok. Come on, anywhere but there, as temples like Uluwatu and Tanah Lot can also be visited from Ubud. Update (2016): The fashionable area right now south of Bali is CANGGU! DAY 15: We Spent the morning relaxing in the villa's pool and ate at Eat Street in Seminyak. In the afternoon, the villa driver approached us to the airport to take a new flight: this time with Air Asia back to Jakarta, where we booked a room very close to the airport to get some rest before taking our flight to Spain the next day. TIP: If You have a long stopover at Jakarta Airport, I advise you to reserve a room in a nearby hotel as the city is very far away. We stayed in the Bale Geese, highly recommended as they pick you up at the airport and take you back (this time punctually) before your next flight. And at last we came home! I was unable to sleep until I arrived in Madrid, so I think it was the day I spent more hours awake in my life, seeing all the films of Pixar on the plane and crying, is not known yet if the sentimentality of the movies or being leaving a country so Wonderful. What would you change about our trip? Nothing, absolutely. Okay, the ideal would be to add more days to the trip, but we did what we could with our limited holiday days. Best of all, leave things unfinished to have an excuse to come back! Some of the hotels we booked in advance in booking, others we booked once there.